Please take a moment to read over our many skills. 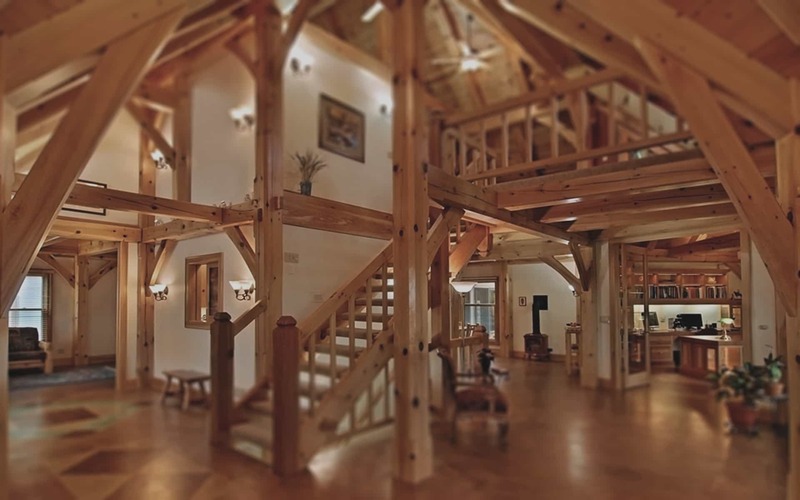 In addition to custom timber frame decks and add-on decks, WhiteOak Artisans, Matt Galeotti and Michael Quinn are known in the Asheville area for their professional quality custom Home Additions of all Types. Building high-end, luxury quality Florida rooms, sun rooms, custom carports, garage add ons, gazebos, hot tub rooms and porch or deck extensions. 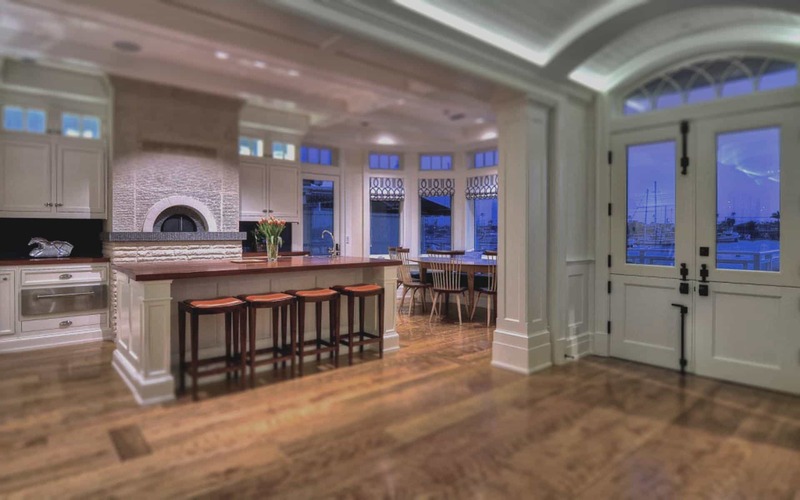 We can design and build any custom home addition you have in mind, free design consultations and on-site estimates for the home addition you’ve been dreaming of is just a click or call away. 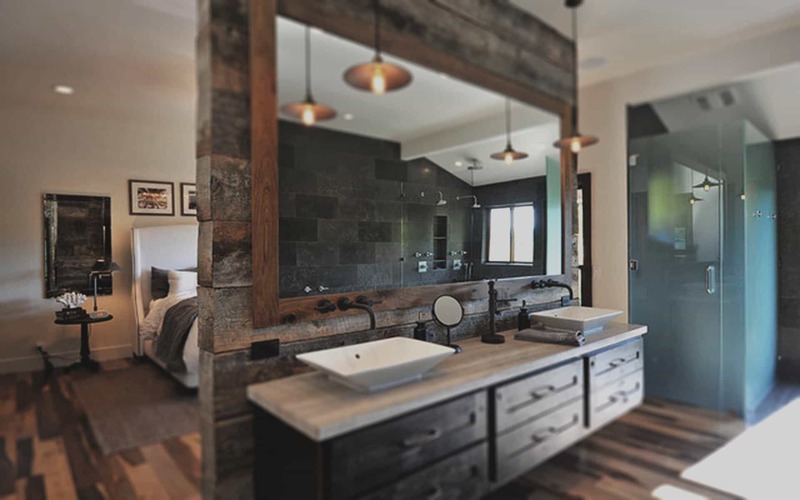 WhiteOak Artisans are among the best Bathroom & Kitchen Remodeling in Asheville, NC utilizing our skills in finely detailed trim work and home addition design and construction. We can create the luxury quality bathroom or kitchen space you deserve, professionally and reliably. 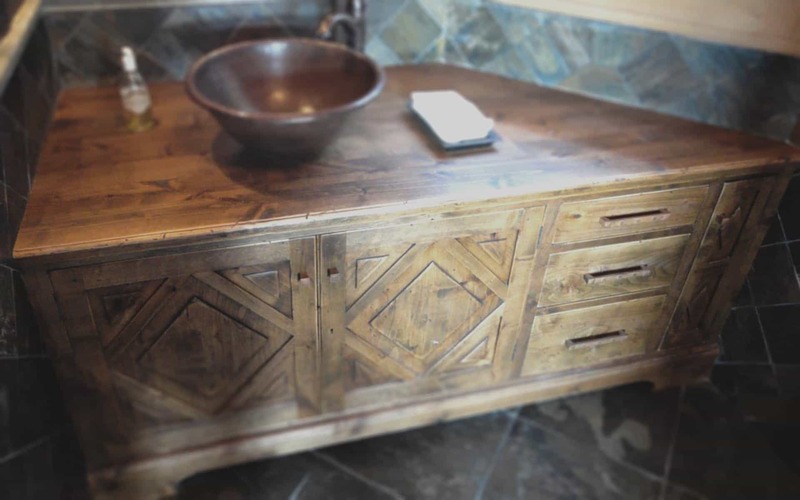 Anything from new cabinets, custom floors, specially made trim work and perfectly accented furnishing and fixtures can be implemented to bring the rooms you use the most to life with the beauty and quality you’ve come to expect from the one and only WhiteOak Artisans. Free remodeling consultations can be scheduled anytime in just a few short minutes over the phone. 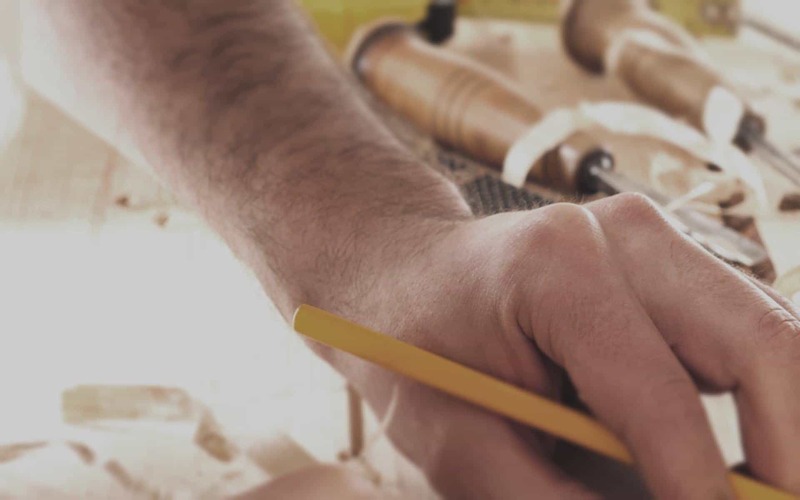 WhiteOak Artisans are professional and experienced Exterior & Interior Trim work specialists, providing the highest quality finish work on window casings, mantels, baseboards, moldings and other types of ornamental finsh and trim work. For the best fine detail trim work carpenters in Asheville, NC go with WhiteOak Artisans. 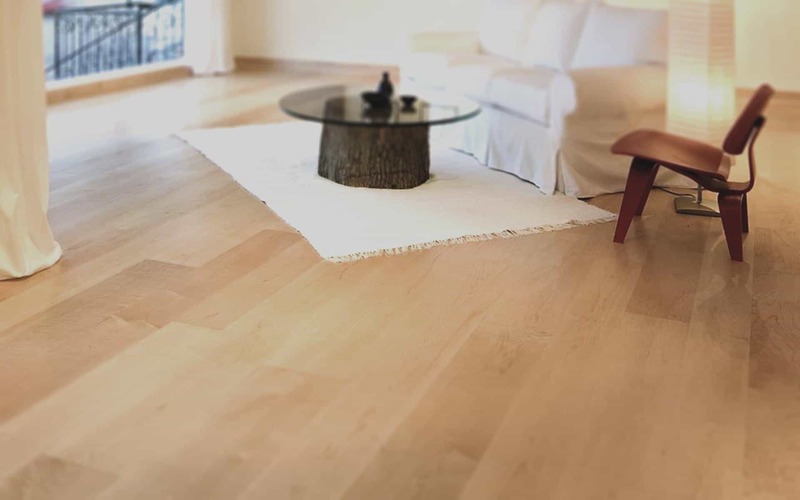 Specializing in hardwood flooring, WhiteOak Artisans can create and finish unbelievably high end floors for your home in any available style with expert quality execution and professional reliability. WhiteOak Artisans can provide installation and finishing for the top styles trending in home design and improvement this year, including but not limited to: wide-plank flooring, distressed wide-plank flooring, reclaimed pine flooring, maple plank flooring, red oak flooring, ebonized hardwood, reclaimed wood, Brazilian cherry wood floors, of coarse custom WhiteOak wood floors, eucalyptus flooring and Douglas Fir floors. 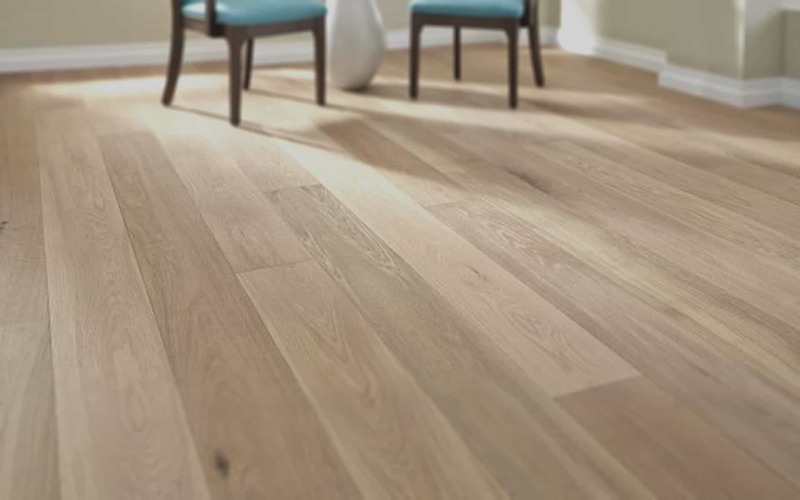 Wide-plank is a highly sought after hardwood/laminate flooring option due to the increased visual appeal and for not having as many seams. 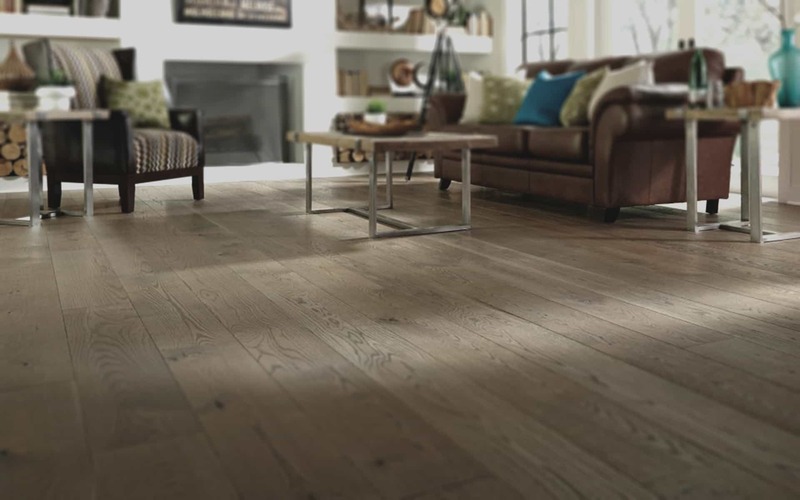 Wide plank hardwood flooring can be installed with a variety of hardwood types, we recommend using a distressed or antique hardwood, sourced locally to make the most dramatic impression with your rustic hardwood floors. This deep rich hardwood flooring choice works beautifully against rooms with a balancing of white fixtures and furnishings, the heavy red warmth will make the room pop big time. Not recommended for bathrooms but great in kitchens and half/baths with black and white cabinets and fixtures. 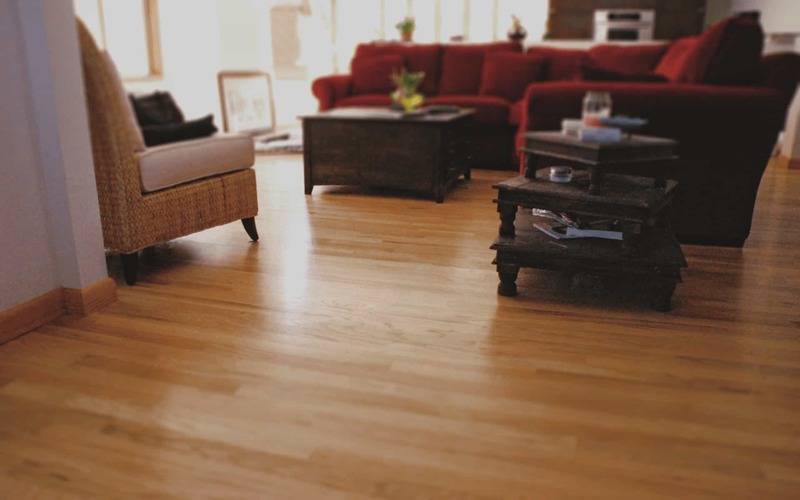 Probably the most popular flooring available on the market due to it's innate versatility, despite the the name this wood can be stained or washed to suit any room design and provides a bright beauty and un-rivaled resistance to high traffic abuse making it perfect for foyers, hallways and living rooms. If your looking to add drastic contrast and a deep luxurious look to your space perfect for rooms with neutral and contemporary designs this with make any room appear dramatically larger than life bringing life to all of your fine WhiteOak Artisans trim work and furnishings! 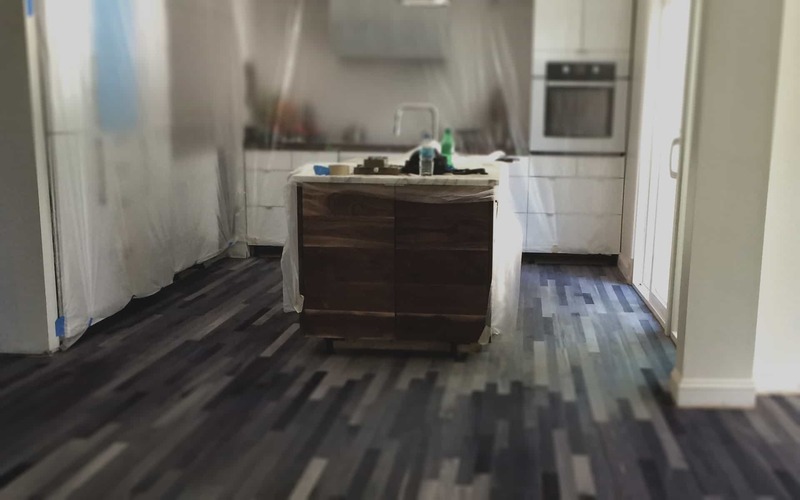 An ever growing, sustainable and environmentally friendly approach to replacing your floors with beautiful hardwood is choosing to use locally sourced, reclaimed hardwood flooring. 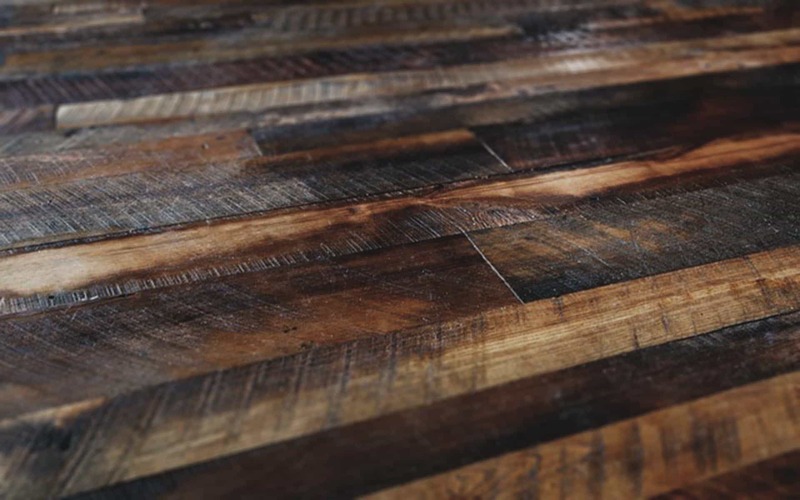 We work with local antique and reclaimed hardwood suppliers to give you one of a kind, immaculately designed reclaimed wood floors with amazing finishing options to beautifully accentuate any room in your home. 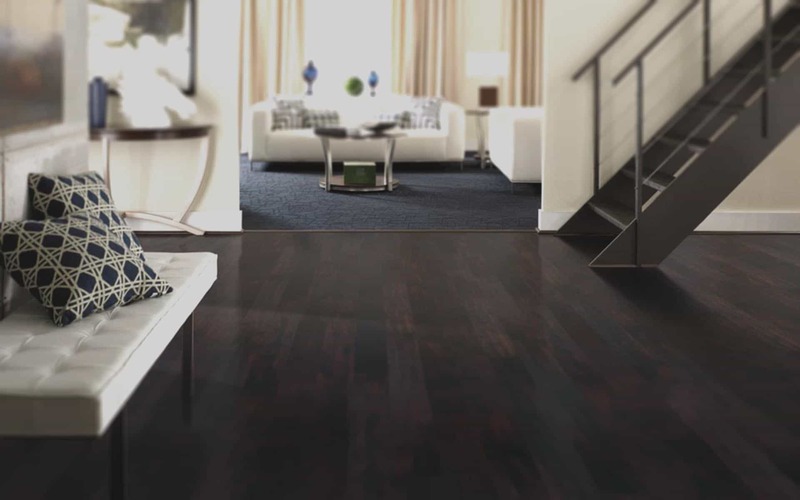 You can really make an exotic statement with our Brazilian cherry wood flooring option. With a beautiful variety of colors in the wood grain, an amazing mosaic look is achieved naturally. This wood is amazingly durable and works great with the busier areas of your home like your living area. 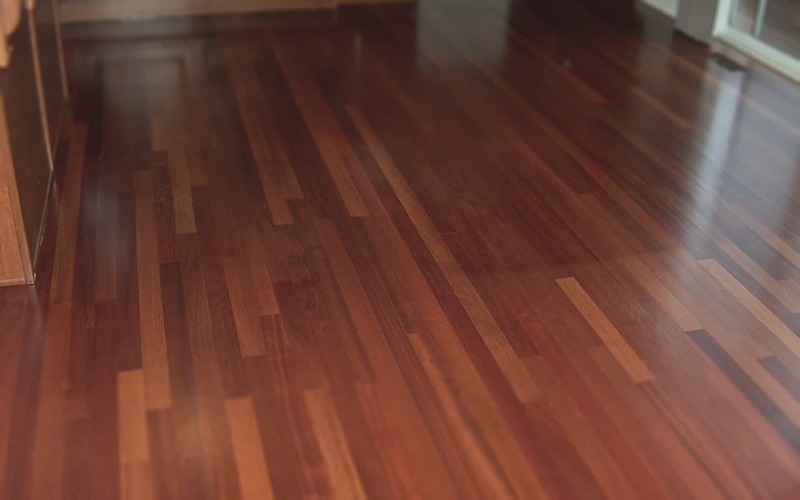 Brazilian Cherry Wood, while not being one of the most sustainable or environmentally friendly options it is one of the most affordable hardwood flooring materials you can choose. A popular choice with us! This unique naturally light brown flooring has a slight pink/gray tint that seems to dance across some of the boards with an entrancing open grain that will draw you into a daze boasting long rays and seemingly hand placed burls and swirls integrated into the grain. It really catches your eye and is undeniably beautiful in any space. Really brings the high society, fashion forward look into your home, giving off a subtle and luxurious glow. Eucalyptus is plentifully in the market, making it a wallet friendly and eco-friendly choice, pairing this choice with our custom trim options and furnishings in white will really set off the beauty of the wood and give a sense of grandeur to the room. Possibly the most inviting and comfortable hardwood choice for your floors, Douglas fir works wonderfully to open your tight spaces in foyers and front halls with an inate ability to look almost seamless. 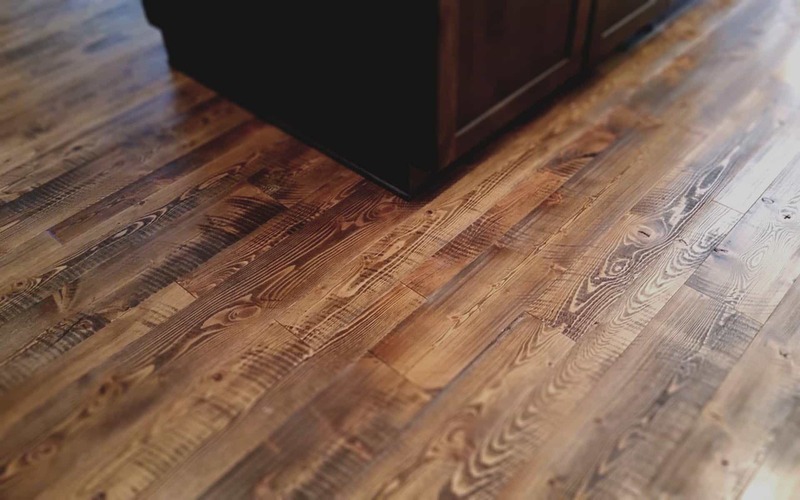 The details in the grain can be beautifully showcased when we finish your floors with the perfect stain, really bringing a striking appearance to these often neglected areas of your home design. 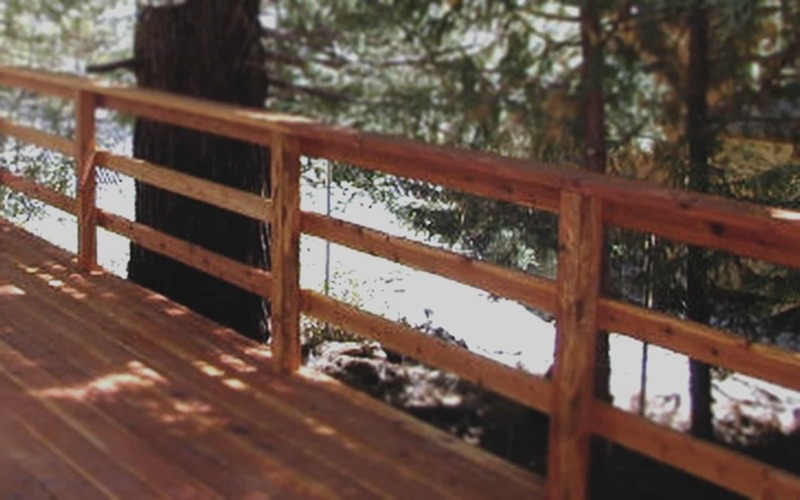 Cable rails or cable railings are a type of railing system designed for, use on decks and porches or staircases, specifically in areas where you want to maximize safety and minimize your view obstructions. Cable rails consist of your standard, usually wood, iron or steel handrail/top railing with supports of a similar material spaced at the normally required distance from one another. The difference from a normal balcony, deck or stair rail being that between the standard supports the in between supports/rails are replaced with a fine, tightly strung steel cables either vertically from the deck to the handrail or horizontally (most popular) through holes in the supports to maximize stability and safety. 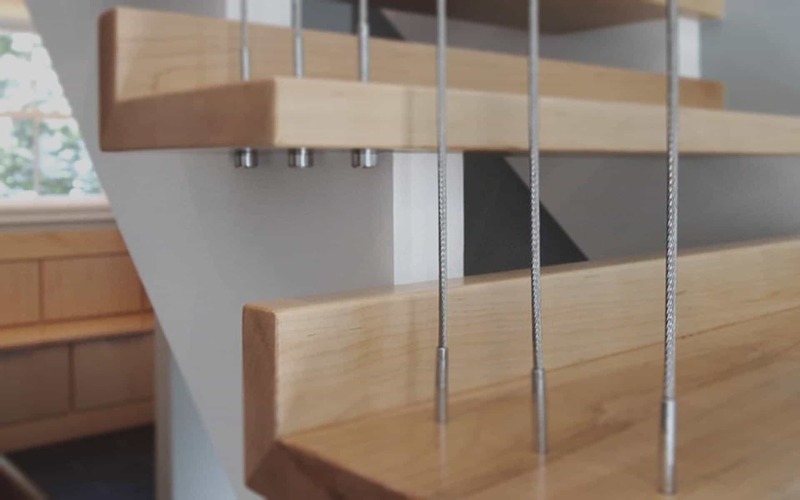 Our cable railings can be custom hand-crafted to fit the design of your home staircase, balcony, deck or porch with a variety of materials and combinations. Like hand hewn beam rails finished with rot iron or steel supports and steel cables or vice versa. We can create all steel or iron rails with both steel supports and cables as well. Call us today to discuss the options for maximizing your view with cable rails and we’ll come out to give you a personal design consultation and on-site estimate. Mountain laurel railings are a top pick for log homes and timber frame homes here in the Blue Ridge mountains and requires hand picked branches locally sourced from the area around the home which is a highly sustainable, eco-friendly option for creating a stunning design choice to set off any deck or porch design. 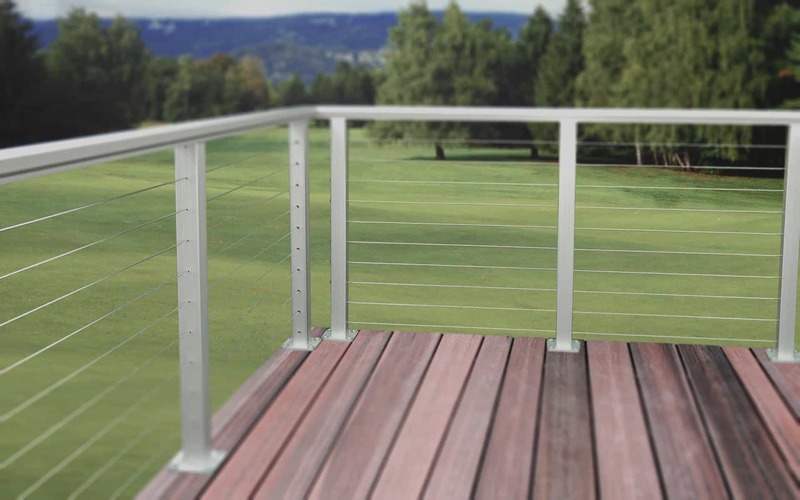 We can do a design consultation and on-site estimate for replacing existing porch/deck railing or mountain laurel railing design and installation on new decks and porches. 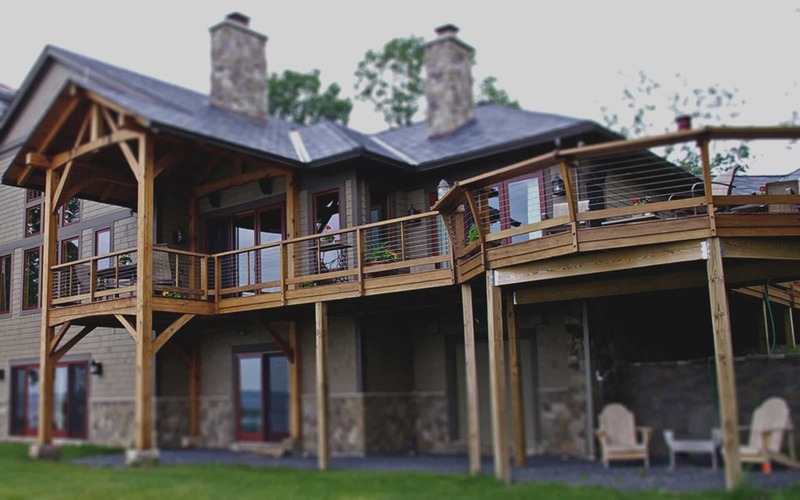 WhiteOak Artisans specializes in building custom hand crafted Timber Frame porches and decks as well as custom designed Add-On Porches with expert quality design and construction. A design consultation and on-site construction estimate can be scheduled with a quick phone call. Our timber frame porches and add-on decks are built with the highest quality, locally sourced building materials and are handmade to create the most space and beautifully match the design of your home, leaving a lasting impression. Call us today to schedule your custom add-on deck design consultation and/or on-site timber frame porch construction estimate. 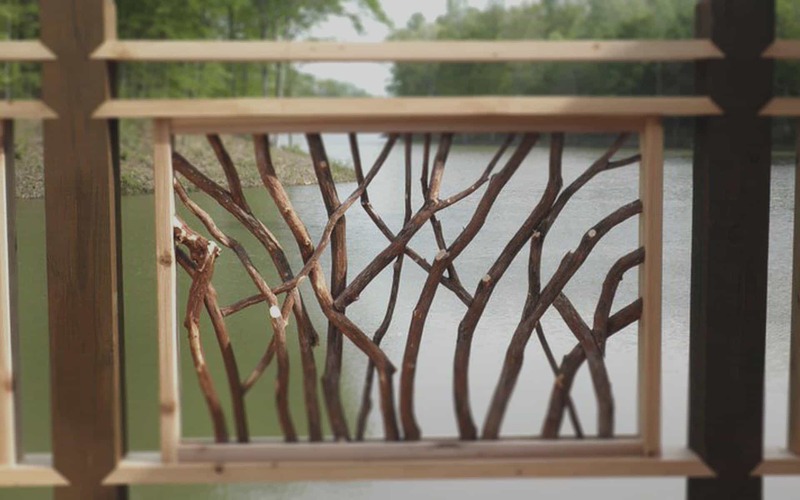 WhiteOak Artisans provides exterior timber framing including barge trusses, brackets, braces. A custom design consultation and on-site construction estimate can be arranged easily with just a phone call. 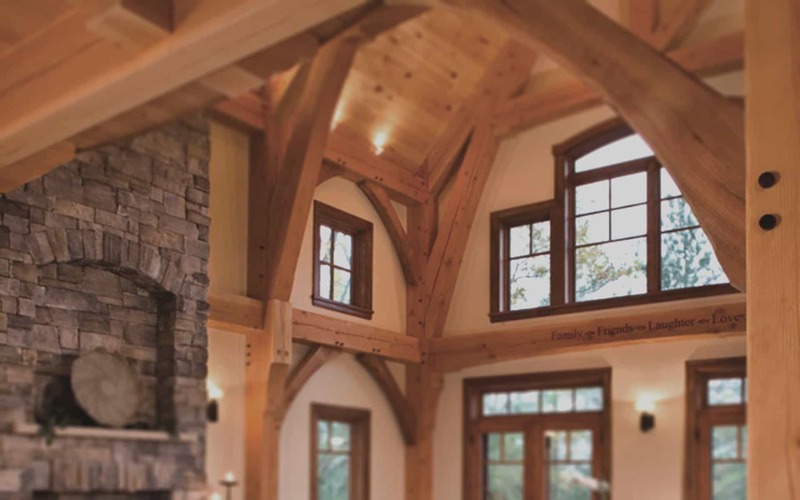 Call today to schedule your appointment for any exterior timber framing job you might have in mind large or small, WhiteOak Artisans can get the job done and done professionally and reliably. WhiteOak Artisans can build the custom Timber Frame staircase Design of your dreams, with expert quality Installation, we can also create Treads & Risers Additions for your existing staircase in addition to our custom timber frame railings, cable rails and mountain laurel railings to give your home that luxury quality high-end mountain home appeal. 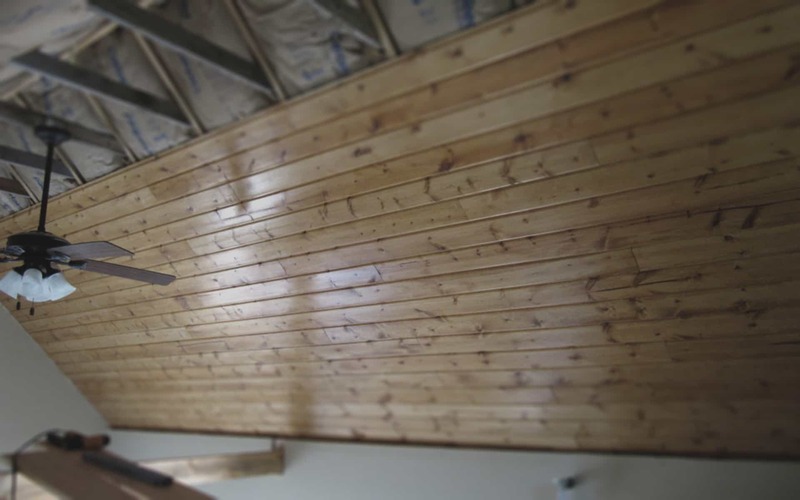 We pride ourselves in the ability to install professional quality Tongue and Groove Ceilings that are built to last and create that stunning wow factor in your home that your guests will envy. Outfit that newly remodeled room, custom home addition or hand built timber frame porch with Custom Wood Furniture made for the space with WhiteOak Artisans! Just give us a call to talk about furniture options.